Cuttingboards.net - Home Is Where the Heart Is Engraved Cutting Board - A Cut Above the Rest! Home Is Where the Heart Is Engraved Cutting Board Personalize your cutting board by laser engraving any state with Home Is Where the Heart Is - write the state that you would like engraved onto the board in the special instructions section. This board makes a great personalized wedding gift, birthday gift, or mothers day gift! Laser engraving is available on our high temp brown DuraTough material as well as on our amber and natural bamboo cutting boards. The laser etches into the surface of the board for a nicely finished dark brown design. Don't see a design that you like? Select our custom engraved board and let us know what you want! 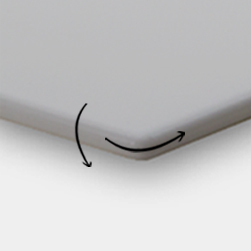 Small: 5 3/4 x 9 1/8 Medium: 8 1/4 x 11 1/2 Large: 9 1/2 x 14 DuraTough Care and Maintenance: The DuraTough material can withstand temperatures up to 350 degrees and is extremely durable, but regular care and maintenance will extend the life of your cutting board. 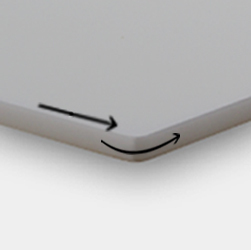 While the DuraTough material is dishwasher safe, we suggest handwashing the engraved boards to preserve the engraved image. Some fading may occur, but we suggest Murphy's Oil Soap to enhance your engraving. 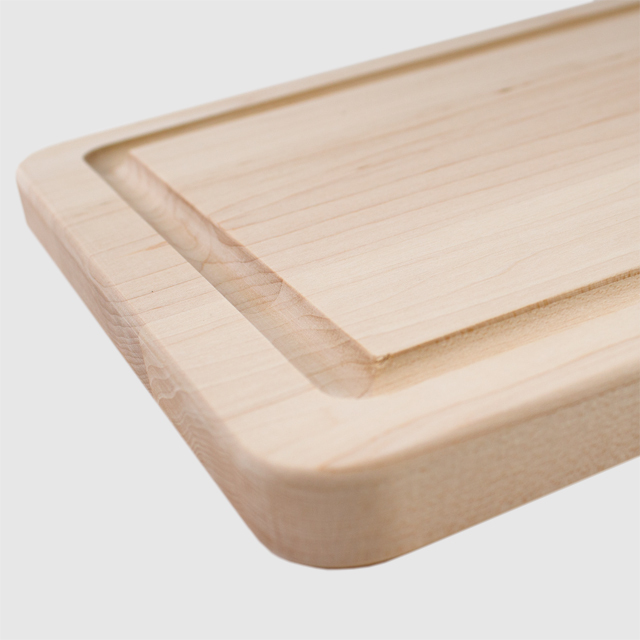 This is a cutting board, not a chopping block. Heavy chopping with a cleaver or knife may damage this board. Bamboo Care and Maintenance: Bamboo is an environmental friendly material that is best when hand washed. To keep the bamboo from drying out we suggest using food safe mineral oil. 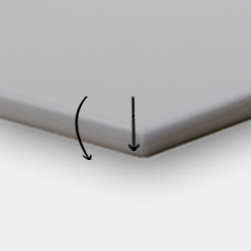 Pick one Small - 5 3/4"x 9 1/8" Medium - 8 1/4" x 11 1/2" Large - 9 1/2" x 14"
Warranty: We provide a lifetime guarantee against defects in the material. Please note this does not apply to wear and tear or normal use of the product. 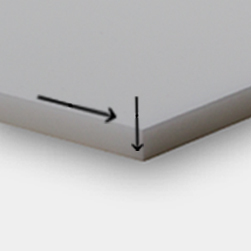 Please measure accurately, as many of our boards are custom manufactured to the exact size YOU need. Our custom manufactured products are non-returnable unless there is a defect in the material. Be safe, measure twice! If you are not happy with your non-custom manufactured product you can return it within 30 days for a refund. Please note the product must be in new condition and a return authorization number is required prior to returning the product.